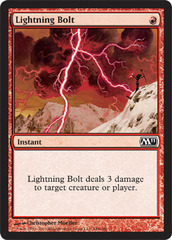 David Ochoa - Part of the classic three-for-one cycle, Lightning Bolt does almost everything, ranging from killing threatening creatures, opposing blockers, and even dealing the final points of damage to your opponent. It’s one of the most useful removal spells available. 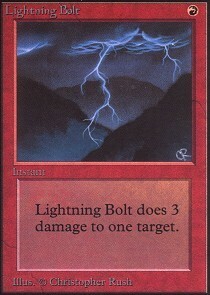 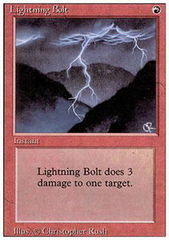 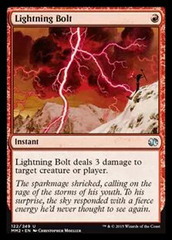 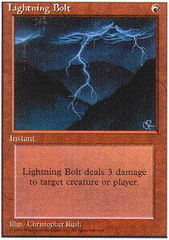 Card Text: Lightning Bolt deals 3 damage to target creature or player.